(Chris Detrick | Tribune file photo) Solar panels on top of the Salt Lake City Public Safety Building, as seen in May 2016. A new report ranks Salt Lake City among the top 10 U.S. cities for solar power generated per person in 2017. Salt Lake City ranks in the top 10 of nearly 70 U.S. cities for the solar power generated per person, a new report says. Utah’s capital city ranked ahead of San Antonio and behind Riverside, Calif., in 2017 for megawatts of solar energy generated per capita, according to an annual report issued by Environment America, a consortium of state-based groups advocating for clean energy. Solar arrays across the city generated approximately 111.9 watts of power for each of Salt Lake City’s nearly 194,000 residents in 2017, the group found. 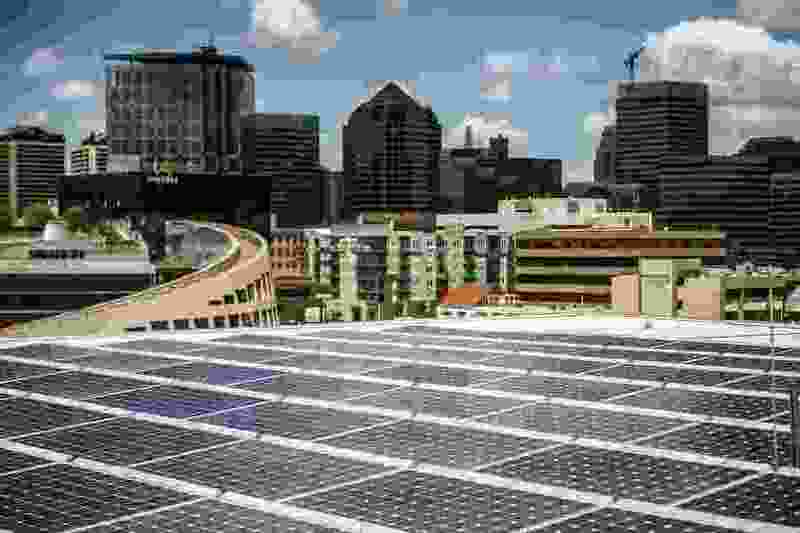 Honolulu, San Diego and San Jose, Calif., topped the per-capita rankings for U.S. cities, with photovoltaic arrays generating per-person wattages in 2017 of 606.4, 204.1 and 191.0, respectively. Putting Utah’s most populated city among its “Solar Stars,” officials with Environment America noted that the city is using solar power as part of a full transition of municipal operations to renewable energy by 2032. In its report, “Shining Cities 2018: How Smart Local Policies Are Expanding Solar Power in America,” the group’s research and policy center notes that the top 20 solar cities on its list generate about 4 percent of all U.S. solar capacity. In September, officials announced that Salt Lake City had doubled the number of municipal buildings equipped with solar panels, for a total of 14. Between those arrays and the city’s participation in Rocky Mountain Power’s subscriber solar program, the city expects to meet about 12 percent of its energy needs with solar.